The once peripheral status of international schools in China has had a growing reputation among wealthy families across the country. With the hope of sending their children to the world's renowned universities and escaping from the stressful competition of the National Higher Education Entrance Exam, more parents are sending their children to international schools despite the colossal expenses. But will international schools truly lead the way to the world's prestigious educational institutes? The answer is definitely "no". Despite a kaleidoscope of reasons for sending children to international schools, parents are beginning to realize that an international education is an irreversible course. Admission to international schools is an opportunity available to rich families only. According to Zheng Yonghua, whose daughter is at an international school in Shanghai, the cost of the international school she attends is about 20 times the expense of a Chinese education. The tuition -- in addition to boarding, living, extracurricular learning and overseas travelling -- is at least 100,000 yuan (US$14,540) a year. But money alone cannot have a final say. As the size of applications to international schools has surged during the past few years, schools have tightened their admissions by denying candidates with no foreign identities or backgrounds. Moreover, parents are asked to be highly involved in community services and school curricula, and the children should also have a basic command of English that enables them to communicate in classes. "It is ridiculous to have a child apply for international schooling without speaking English," Zheng Yonghua said, explaining that the lessons and programs in the schools are all in English. 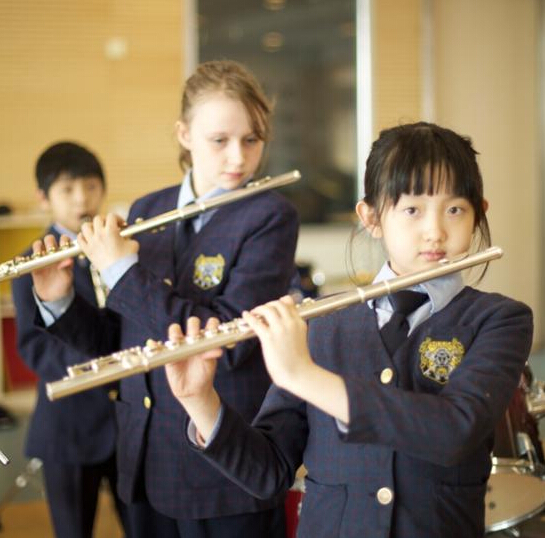 Beijing Huijia Private School was among the first privately owned international schools in China. It began to open pedagogic lessons for those who expected to be accredited with foreign diplomas in 1997. From then on, international schools have flourished. There are also international classes in Chinese high schools. Bao Xiaojuan, who used to teach in international schools, said, "The segregation among students in international schools is severe, as the children only befriend with those who speak the same language. So there are English groups, Chinese groups and French groups." According to Bao, due to the lower levels of discipline compared to Chinese schools, many students in international schools indulge in hedonism. A report on those who wish to study aboard while attending high schools, initiated by Fan Aiai from the Graduate School of Education, Peking University revealed that students applying for international study are usually those ranked between 26 and 50 percent with regards to grades. They are from wealthy families with annual incomes above 500,000 yuan (US$ 72,730.45). But once they choose to be international students, they have decided a future in which they can no longer take part in the National Higher Education Entrance Exam and have to study abroad at young ages -- a track they have difficulty changing, the report disclosed. Will international schools in China become a wise alternative to the National Higher Education Entrance Exam to ensure promising academic futures for students?